I’ve long been a fan of Dragon’s Den, but BBC3’s new series, “Be Your Own Boss” goes much further and a lot deeper into the realities of becoming a new entrepreneur. Richard Reed, founder of Innocent Drinks, sets out to find Britain’s wannabe entrepreneurs. He’s looking for tomorrow’s potential high flyers to invest in with a million pounds of his own money. Starting out with 500 possibles Richard and his team of fellow entrepreneurs have to narrow these down to just a handful of likely prospects. During the 6 part series, Richard will select three each week and give them a challenge to prove their worth, before deciding whether to invest in them or not. Some of the businesses are already operating but need funding to grow but others are barely more than an idea. At the time of writing, the series is two episodes into it’s run. In week one only one of the three succeeds in getting the funding they need but in episode 2, two out of the three get the investment that could make their dream a reality. This is real ‘hands on’ stuff, not just a pitch like on Dragon’s Den. The perils and pitfalls of business are very apparent, as are the qualities needed by the true entrepreneur if they are to get past the first hurdle. 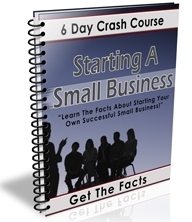 This is not just entertaining but extremely good learning if you want to start your own business. If you truly want to be your own boss this TV series is a must watch training programme. Although two episodes have already aired, you can still catch up on BBC iPlayer. Enjoy! But take lots of notes, this will be a very valuable education. Let me know what you think of the show and any ways you think it has or will help you in your business venture. You can use the comments box below. Feel free to share this post via Facebook, Twitter, Google + etc. Disclaimer: This article has been a review of a BBC TV series. Neither beyourownboss.co.uk nor Attitude Ltd are connected in any way with the BBC or any participants in the Be Your Own Boss TV series. All relevant copyrights are acknowledged. The Mail Order industry has always had a thriving information marketing element, as has the new internet marketing arena. The best known example in both industries is the business opportunity or ‘get rich quick!’ sector of the information market. But information products are selling in huge quantities in many markets: Language learning, stock market trading, pet care, parenting, personal development, improving your golf, fly fishing, learn to play guitar, cook books, gardening books – are just a tiny few examples. So why am I telling you this? Well, selling information is an ideal ‘work from home’ venture. Many well known information publishers started out as home based businesses and quite a large number of people would prefer to continue to operate from home. It suits their lifestyle, gives them freedom and generates a potentially good income. The attraction of information products to the mail order industry has always been the excellent profit margins to be had, but with the advent of the internet it has become even better. Marketing costs are lower on the internet, you can reach a wider market, people are actively looking for information on the internet and electronic, downloadable products are cheaper to produce and deliver than physical mail order products. The set also comes with a 70 minute overview of the series which the interviewer has promised I can give to any of my readers who might be interested. If you would like a copy, post a comment below and I’ll see you get one. Speaking of information marketing, the latest sponsor advert on the right of this page (bottom right of the block) is for a new book on quick cash tips for affiliate marketers. I’m a great believer in affiliate marketing, as you know, but I was amazed at some of the results people have been getting with these ideas. I recently attended an exhibition specifically designed to help small to medium businesses to market their business to other businesses and to large corporate and public sector buyers. I was there to promote my telephone numbers business (0800, 0844, 0845 etc.) and my internet business, WordPress Websites to the business sector. The exhibition was funded by our regional development agency in the UK East Midlands as part of their assistance to business during the present recession, which meant the entire event was free of charge for both exhibitors and visitors. There were several events throughout the region, but the one I attended was in Lincoln, where I have my own businesses. The exhibition followed a familiar but successful format consisting of a large exhibition area containing some 50 exhibitors and a seminar room hosting short business presentations throughout the day. The seminars brought in a lot of visitors who may well not have been attracted to the exhibition on its own and, being business seminars, they brought in a very specifically targeted audience. This ensured that exhibitors had to deal with very few ‘gawpers’ and ‘time wasters’. The format was also useful in that during the seminars the exhibition hall was fairly quiet. This gave exhibitors the time to network with one another and gain business that way. I was next to a local video production company run by a friend of mine and during one of these quiet spells we took one of his video cameras and an outside broadcast microphone and I interviewed a number of exhibitors about their business. It was a spontaneous opportunity to network in a new and different way and, at the same time, promote the idea of marketing with web based video. Can you think of a novel new way to network or promote your business? Here’s an overdue tip I should have shared with you earlier. I was reminded of it when I ran one of my regular Web Academy courses recently. This was an advanced course, and promoted as such, but I kept getting asked questions about some pretty basic stuff. Now, I never mind going over the basics with my delegates, but it occured to me that my readers may be in a similar position with their customers. We often tend to believe that our customers know more than they actually do. We become so immersed in our own industry and take so much for granted that we forget that what we consider everyday knowledge is completely new and valuable to others. I’ve often shared information that I considered common knowledge, only to find that it was just what a very grateful customer needed right then! There are a number of lessons here and a couple of ways to profit from this. The main lesson is – Never Assume the customer knows what you or your product does. Never Assume that you know what the customer wants. In both cases check – research your customers and your marketplace and find out what they need and what they don’t know. And the two ways to profit? 1. Keeping customers informed of information that could help them or is even vital to them always leads to more business, either directly or via recommendation. 2. The information you have that you could or should share may be so valuable that it is worth money. People would gladly buy it if it was packaged and promoted correctly. The ‘Information Business’ in this world is worth billions. Could you pick up your share with what you know? Over the next few weeks every pundit on the planet will have a go at predicting the future. I have just looked at some 10-50 year predictions from a couple of years ago and several have already happened. But no-one predicted this year’s financial problems, even though the signs were already there. It means that the future is coming up so fast that by the time we have made our forecasts, they could well have become history already! The present economic situation hit us hard and fast and took most people completely by surprise. The next change could happen just as fast, but what it will be – who knows? But one thing I can tell you is that, just as the current situation is creating winners as well as losers, so will the next change…. and the next…. and the next! Looking back I’ve been a winner more often than I’ve been a loser. Even the one occasion that I appeared at first glance to be a loser, turned around the other way and sent me in a direction I would never have expected. So how did I do that? Simple? Obvious? Common Sense? Yes! So why are so many businesses still trying so hard and spending so much money to try to convince us we want stuff that we really neither want nor need? Because in a boom when many consumers have more money than sense, it can work. But in an economic downturn, when everyone is watching the cash and being very careful how they spend it, you had better be offering them exactly what they want and need in their current situation. The business that can understand what their customers want most right now, and that can deliver it in terms of quality, service and value, will always prosper. Do you have a list of enquirers who never bought from you? Sure you do, and so do your competitors! If you don’t have what they want, maybe your competitor does. So why not swap lists? Or better still, recommend your competitor’s product to your list, and get your competitor to market your product to his list. Then share the profits. Simple – and it really impresses the customer too. Better still, do a google search for websites selling similar, complementary or related stuff and see if they have an affiliate program. Check out the quality of their products and customer service and you could find yourself with a whole new product range to promote to your customers.